Taking Back Sunday and The Used recently announced a spring co-headlining tour of North America, with Tonight Alive and Sleepwave set to support. Performances in New York and Los Angeles sold out shortly after going on sale last week, and, as a result, the tour has now been expanded to include a second LA date, March 19 at the Palladium, and a third New York date, April 21 at the Best Buy Theatre. Tickets go on sale today, Feb. 7, here and here, at 10 a.m. PST and 12 p.m. EST, respectively. 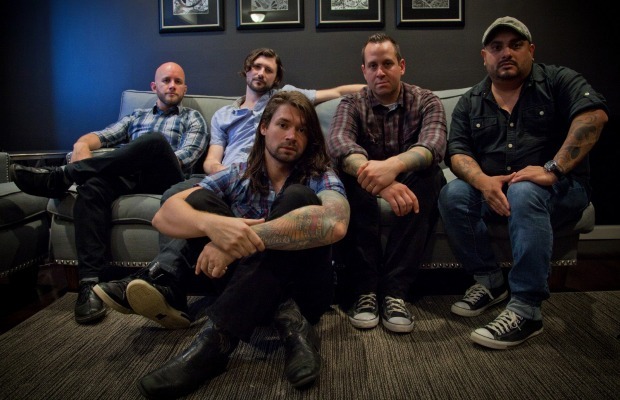 Taking Back Sunday will release their sixth full-length, Happiness Is, March 18 through Hopeless Records, while The Used will release Imaginary Enemy, also their sixth full-length and also via Hopeless, April 1.